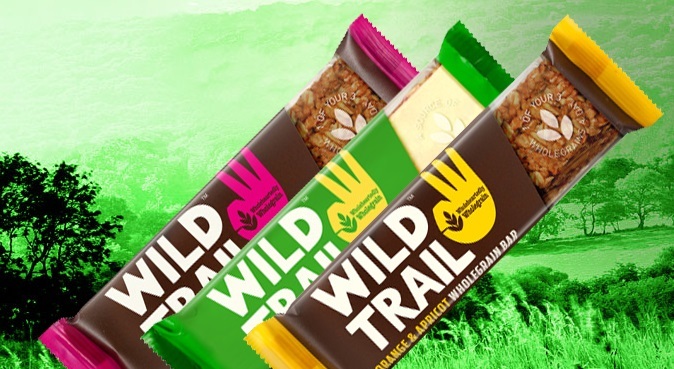 WSR Tried some of WIld Trail WholeGrain Bars and they went down a storm. Our favourite was the Raspberry and Cranberry but all three flavours were lush. I took one at my 11am break and then enjoyed one after being in the gym. The greatest thing was the taste and hey it's very healthy for you so a bonus. If your looking for a tasty healthy snack you need to try them, available from many brand stores. At our core is the belief that wholegrains are essentialto keeping our bodies healthy. Our bars contain 2 of the best wholegrains out there – oats & popcorn – both packed full of antioxidants, fibre and essential vitamins & minerals. Wholegrains are grains that have not been refined. Refined grains, which are a common ingredient in most grain products, are a result of a process which breaks down the grain leading to a loss of natural goodness. Wholegrains are nutritionally rich in many B vitamins (thiamine, riboflavin, niacin and folate) and minerals (iron, magnesium and selenium). Full of fibre and protein, wholegrains aid digestion and keep you feeling fuller for longer with fewer calories. Therefore eating wholegrains as part of healthy diet can aid weight loss. Research has proven that eating 3 portions of wholegrains a day can help reduce the risk of developing heart disease and type II diabetes, as well as reduce the risk of stroke. Oats contain more soluble fibre than any other grain, one of which, beta-glucans, has been proven to lower cholesterol and keep your heart healthy. Popcorn has more protein than any other cereal grain. It also has more iron than eggs or roast beef.